Nua Healthcare staff and fellow Service Users of Sophie's, would like to recognise her recent huge achievement of taking the next big step towards her desired career as a beautician. Sophie has been actively working in her community through the support of the outreach team for some time now and has been attending the Acorn midlands Education and training centre, where she has completed a course in “make up and more”. This six week course was delivered by well-known makeup artist Lisa Doyle, the course was delivered through both practice and theory and Sophie excelled in every way. 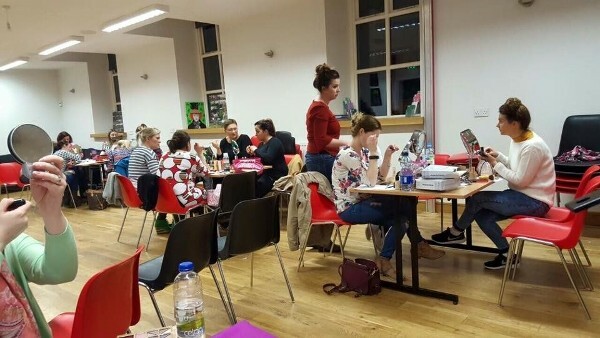 As well as all the hard work, Sophie enjoyed the 2 hours of girlie beauty chats while meeting new people and learning some new beauty skills. Well done Sophie. Keep up the great work!